There was initial talk that we might see new iPads during the iPhone event earlier this month, but as the event drew nearer it became clear that this was not the case. Now we’re looking forward to a potential October event, and it’s looking increasingly likely that we will see new iPads with Face ID, too. This comes after various tidbits were noticed inside the first beta release of iOS 12.1 yesterday. Starting things off we have the discovery of what appears to be an upcoming feature that will allow Memoji to be synced across devices using iCloud. This is simply not possible currently, but 9to5Mac spotted a new daemon in iOS 12 beta 1 called avatarsd, with further clues leading to the belief that this will allow iCloud syncing of Memoji faces. This is something that could become hugely useful if an iPad with Face ID were to arrive, something we’ve expected for a few weeks. That expectation is now reaching new heights after further clues were spotted in iOS 12 beta 1 that suggest a landscape Face ID orientation is in the cards, something an iPad Pro would likely require. However, the bad news is that this won’t be available to existing Face ID-capable devices thanks to a hardware requirement, as pointed out by developer Steve Troughton-Smith. Of course, all of these rumors tie in with previous expectations that we would see new iPads in the coming weeks and the same iOS 12.1 beta 1 release further strengthens that belief with a new model identifier spotted within it. 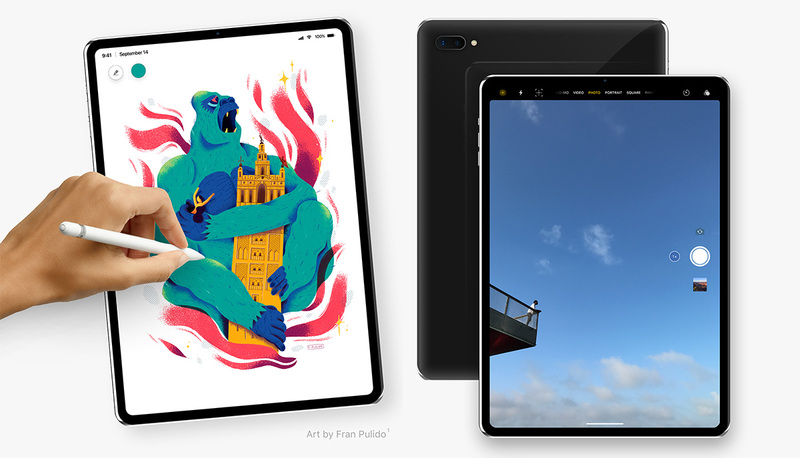 Dubbed iPad2018Fall, it’s pretty clear what that points to. With that in mind we now expect an iPad announcement to take place next month, potentially with new Macs in tow if other rumors also come to fruition.